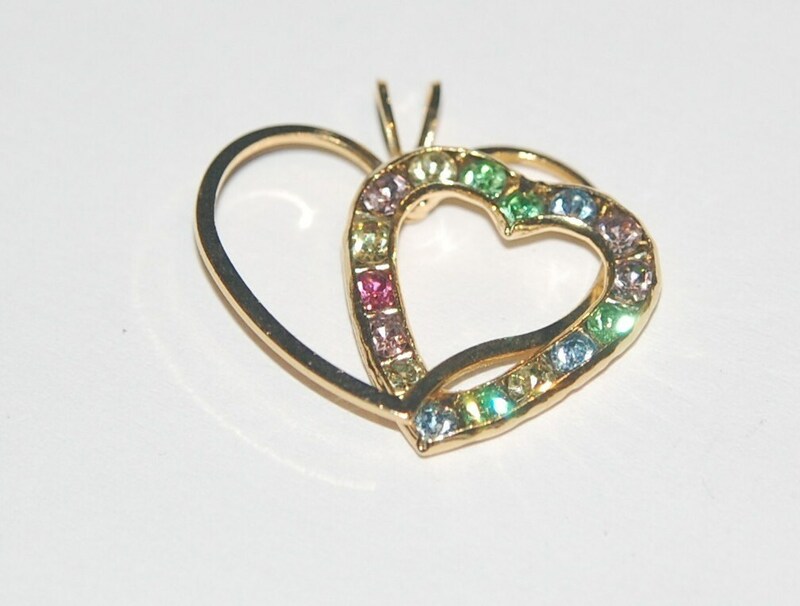 This is a vintage Swarovski stone heart pendant from the 1980's. This features 2 entwined gold tone hearts. One heart is set with 16 assorted colored stones. This pieces measures 23mm high X 25mm wide. You will receive one of these. Just as described and arrived very quickly. Very beautiful. Thanks!